The transcript for the wonderful movie Waking Life can be found online, transcribed by James Skemp. Script of the movie Waking Life, based on Tara Carreon's transcription, but with revisions based upon a viewing of the DVD version of the movie, which was watched with subtitles. For the sake of version control and in the interest of not having multiple versions floating about the Internet, please link to the pages on this site. 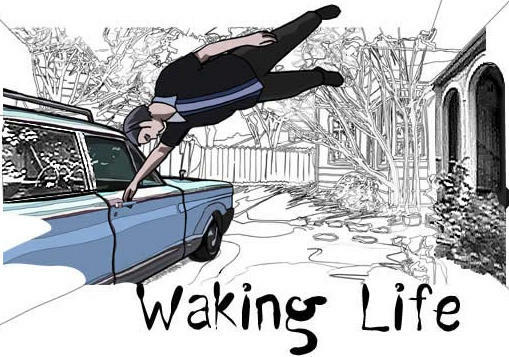 Waking Life is copyright its respective holders. Text from the movie is made available here for the benefit of all.